The BLUEprint is your personalized plan of study to Graduate READY for your future. Employers today are looking for applicants who have a diverse set of skills for 21st-century careers. 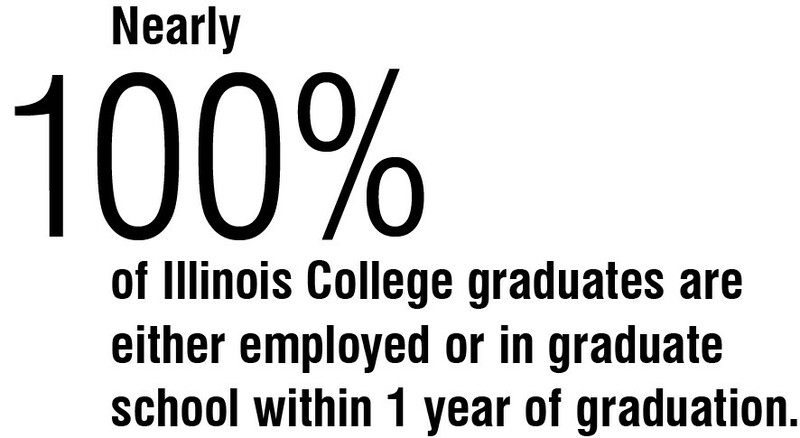 The Illinois College BLUEprint is your personalized general education plan to help you master the critical skills that will set you apart in the job market and prepare you to land your first job. Today, employers are looking for graduates with strong written and oral communication skills, understanding of diverse cultures and the ability to work with people with different beliefs and most importantly, the competence to solve problems effectively through inquiry, analysis, synthesis, creative and critical thinking, and collaboration.